200mm Rosewood Solid Soffit Board - 2.5m length. (This product is avaliable in Golden Oak, Black Ash and plain White. Please see our other soffit sections for these colours). These plastic soffit boards are 10mm thick with 1 finished edge. A range of Floplast Soffit Board trims is available to suit. 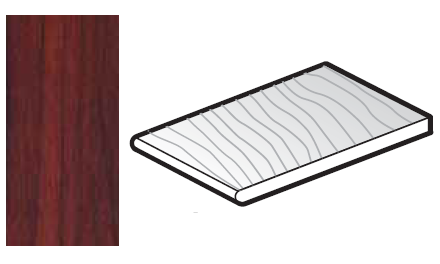 These plastic soffit boards can be used with the Ventilator Strip and the Round Soffit Vents if required.